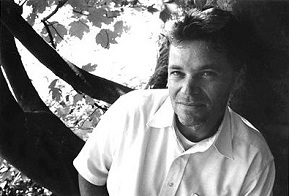 World-renowned Canadian philosopher Prof. John McMurtry argues that the US and its ally, Israel, violate the laws against armed aggression, occupation and crimes against humanity at will, while other world states are either their accomplices or afraid of taking any move against them since they will risk being labeled a rouge or terrorist state otherwise. Prof. John McMurtry says that the US government is a gigantic mass-murdering machine which earns profit through waging wars, and is never held accountable over its unspeakable war crimes and crimes against humanity. He also believes that the US has become a police state, which treats its citizens in the most derogatory manner. “The US can … detain, kidnap and imprison without trial or indictment any US citizen or other citizens anywhere by designating them enemies to the US,” Prof. John McMurtry noted in an exclusive interview with Fars News Agency. 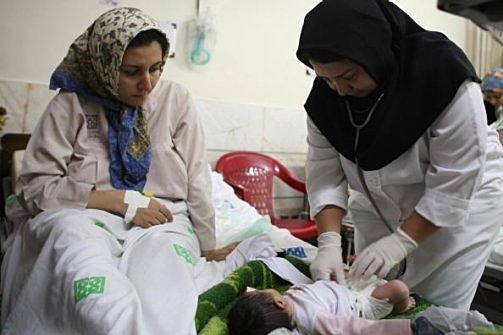 The fact that the inhumane sanctions of the United States and its European allies against Iran are taking a heavy toll on the ordinary Iranian citizens is still hard to believe for many Western citizens who suppose that their governments are sincere in their claims of being concerned for human rights and freedom. In different articles, I've pointed out this fact that the economic sanctions against Iran have become so intensive and rigorous that they have nothing to do with Iran's nuclear program anymore; rather, they are aimed at paralyzing the daily life of the innocent civilians in the country with the ultimate goal of persuading them to revolt against the government to protest the deteriorating living conditions, hence creating an all-out chaos and unrest in the society. Since 2006, the United Nations Security Council passed 7 resolutions on Iran's nuclear program, demanding the country to suspend uranium enrichment and reprocessing activities. In four of these resolutions, the UNSC has imposed sanctions on Iran, including a ban on the supply of nuclear-related materials and technology, an arm embargo, travel bans on individuals connected to Iran's nuclear program, a freezing of the assets of Iranian banks in the United States and EU countries and the Islamic Republic of Iran Shipping Lines along with various embargoes on the assets and activities of Iran's Revolutionary Guards. However, the thirst of the United States and its allies in crippling Iran's nuclear program and harming its economy has not been quenched with the UNSC resolutions. 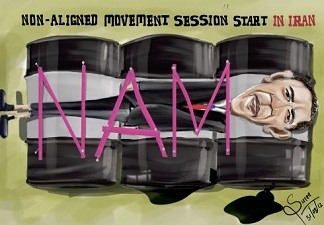 The United States and its allies have sought to put a huge amount of economic and political pressure on Iran outside the framework of the Security Council, and through imposing unilateral sanctions on Iran's banking, insurance, oil, industry, aviation, shipping and medical sectors, they have taken up an unjustifiably aggressive stance in regards to Iran which has caused a dramatic surge of the anti-American, anti-Western sentiments among the Iranian people, instead of turning them against the government. Nima Shirazi is a political commentator from New York City. 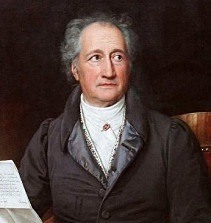 His analysis of United States foreign policy and Middle East issues, particularly with reference to current events in Israel, Palestine, and Iran, is published on his website, WideAsleepInAmerica.com. 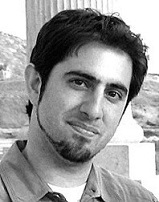 His articles and commentaries are published on a variety of online and print publications including Foreign Policy Journal, Palestine Chronicle, Mondoweiss, Media with Conscience, Monthly Review, Dissident Voice, Salem-News, Middle East Online, Indymedia, The Palestine Telegraph and Axis of Logic. Shirazi is widely acclaimed for his precise and accurate analysis of the Middle East events and the U.S. foreign policy. The world-renowned author and political scientist Norman Finkelstein has praised Nima Shirazi's work, saying that he is "a very smart fellow and remarkably well informed. It's worth taking the time to read what he writes." Jeremy R. Hammond, political journalist and the editor of Foreign Policy Journal has said about him: "Nima Shirazi is a brilliant analyst whose writing gets right to the heart of the issue without any messing around. Reading articles in not only the mainstream media, but also on alternative and independent websites and blogs, is generally a frustrating experience, for the broad adherence of most (actually, almost all) commentators to a limited manufactured framework." What follows is the complete text of my interview with Nima Shirazi with whom I discussed on a variety of issues including Israeli-American relations, Iran's nuclear program, the death of Osama Bin Laden and the Western media propaganda against Iran. TEHRAN (FNA)- American writer and radio host Stephen Lendman believes that the successful arrangement and hosting of the 16th heads-of-state Summit of the Non-Aligned Movement in Tehran was diplomatically a triumph for the Islamic Republic, which disappointed Israel and the United States and helped Iran improve its political profile on the international scene. Stephen Lendman believes that despite the US and Israeli propaganda, the Non-Aligned Movement (NAM) summit in Tehran which wrapped up on Friday was a great diplomatic victory for Iran and meant a great defeat and failure for the US and the Zionist regime of Israel. What follows is the full text of Fars News Agency's interview with Stephen Lendman in which a number of issues pertaining to the Non-Aligned Movement summit in Tehran, the frustration of Western powers at the successful summit in Tehran, the attendance of Egyptian President Mohamed Mursi at the summit, the prospects of the movement under Iran's presidency and the role it can play in fostering global peace and stability were discussed. 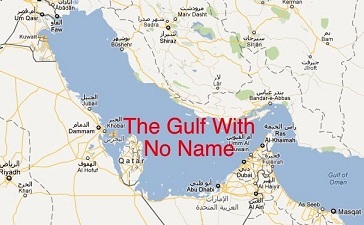 Just a few days ago, Google removed the name of 'Persian Gulf' from its online maps and Google Earth plans. This action is considered to be a politically motivated plot directed by the CIA to undermine and demoralize Iranian people and weaken their position in the international community. Unquestionably, it's unlawful to distort or change geographical names for political purposes. 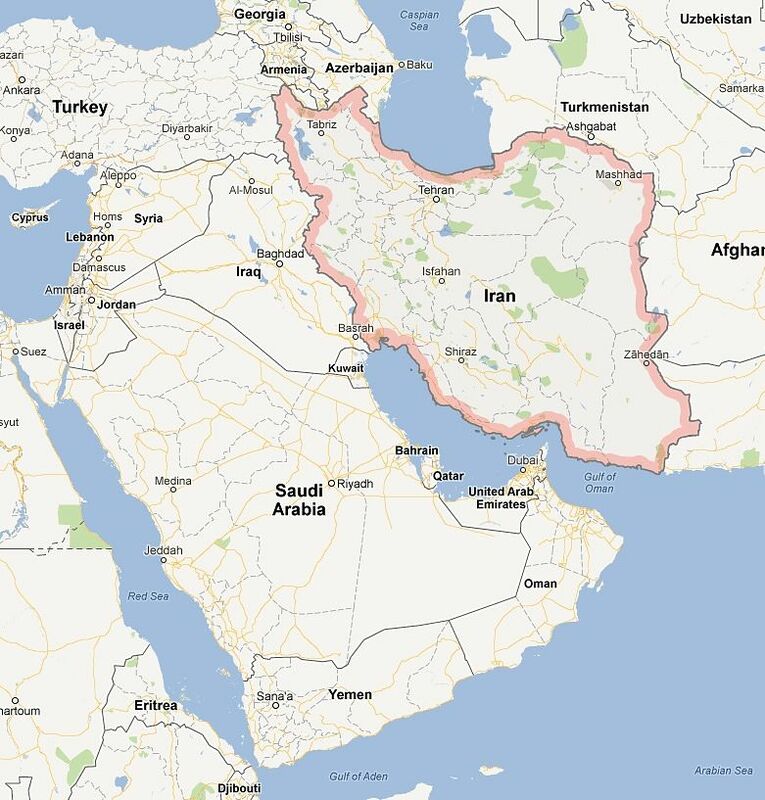 To Iranians, 'Persian Gulf' is not simply a name referring to a geographical region on the world map. To Iranians, the name of 'Persian Gulf' is interwoven with a sense of national dignity and honor which makes them a united and powerful troupe against the relentless attacks of the enemy. The name of 'Persian Gulf' resembles a feeling of pride and decorum for them which cannot be replaced by any other gift or reward. It reminds them of the impressive days when the flag of ancient Persian Empire honorably fluttered and waved in the sky and there was no other competitor to supersede this mighty empire. Of course Iranians' attachment to 'Persian Gulf' and the cultural heritage which it carries does not emanate from blind nationalistic sentiments. Iranians know well that today, they are the representative of a greater, broader union that is the Islamic Ummah. They know that it's with the blessing of Islam that they can still take pride on being an unrivaled superpower in such a tumultuous and restless region as the Middle East. However, Iranians are extremely sensitive about those vicious, brutal powers who intend to undermine their national honor and solidarity by encroaching on their national heritage, including the [name of] 'Persian Gulf'. The United Arab Emirates officials are burning with a low blue flame. They have once again started insulting the Iranian nation using an arrogant and offensive language. What has irritated them this time is the recent visit paid by the Iranian President Mahmoud Ahmadinejad to the Iranian island of Abu Musa in the Persian Gulf as part of his provincial trip to the southern province of Hormozgan on April 11. 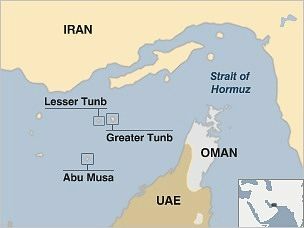 They claim that the island belongs to the UAE and that Iran has violated their territorial integrity by continuing its "occupation" of this strategic island. Of course fueling anti-Iranian sentiments has been constantly on the UAE officials' political agenda. The statesmen of the newborn, tiny Arab sheikhdom think that by launching verbal attacks against Iran, they can gain power and popularity. But they have brought their eggs to the wrong market. Hostility and rivaling with Iran will backfire and fail. The hullabaloo of the Emirati officials is a tempest in a teapot and there's no trace of logic and rationality in it. What is annoying and painful is that by credulously neglecting the principle of peaceful neighborhood and coexistence, the Arab officials are muttering the words of Israel, the U.S. and UK about Iran and upsetting a neighbor which has always contributed to their progress and development. 2011 was a turbulent year for the world. With chained revolutions in the Arab world, mounting financial crisis in Europe and the unprecedented wave of protests and mass demonstrations in the U.S. against the corporate system of the government which has long swallowed the rights of the defenseless majority of the people voraciously, one can call 2011 the year of global unrest and tumult. For Iran, 2011 was also a challenging year. Benefiting from the all-out backing of the Western mainstream media, the apartheid regime of Israel for several times renewed its hawkish war threats against the Islamic Republic and repeatedly used an aggressive rhetoric against the people of Iran, threatening them with various military options which the United States and certain European governments embraced willingly and enthusiastically. It would not be an exaggeration to claim that the Arab Spring was a legacy of Mohamed Bouazizi who with his painful self-immolation before a municipality office in Tunis in protest at the ill treatment and corruption of the police, sparked the rage and irritation of the Arab nations in the Middle East and North Africa and somehow invited them to rise up and stand against their corrupt, authoritarian governments which were mostly equipped and supported by the U.S. and its European allies. 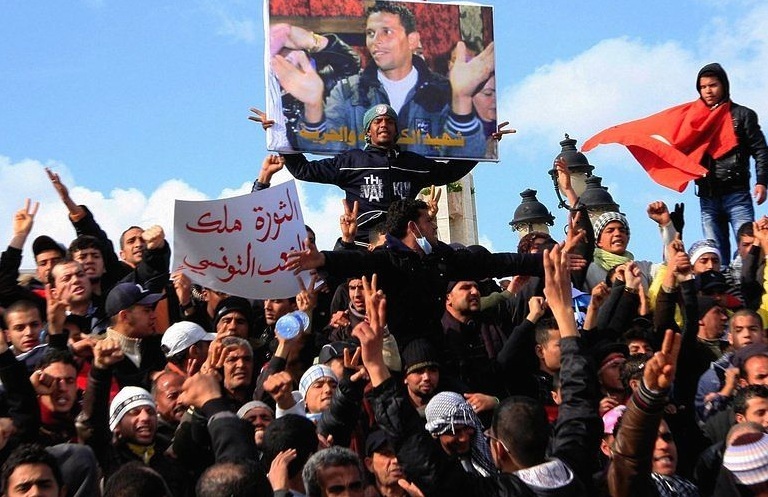 In Tunisia and after Bouazizi burnt himself before the mayor's office, people started to sympathize with him and his family and held funeral processions for him. These small gatherings began to expand explosively and after a short time, turned into massive demonstrations against the uncontested 23-year rule of Zine El Abidine Ben Ali whose accumulation of illegitimate wealth and what his opponents called his family's Mafia rule had infuriated the oppressed, pauperized people.